Are you interested in getting a fast, no-strings-attached price on the McLaren vehicle of your dreams? Then you will be happy to know McLaren North Jersey has what you need. No matter which vehicle stands out to you, we are beyond confident that what you are looking for is currently waiting for you on our lot. The best part about requesting an offer from McLaren North Jersey? Not only does embracing this approach guarantee you have the chance to take advantage of pricing that is second to none, it is also the top way to avoid unwanted phone conversations, long-winded sales spiels, and other hoops that less trustworthy dealers force you to jump through before getting to the core pricing information you crave. If this appears to be the sort of experience you are searching for as you begin the hunt for the perfect new McLaren car for you, then go ahead and follow along with us as we explain exactly how we formulate a quote for you. From here, you should have everything you need to move forward with clarity and get started on the road that leads to the most desirable car, truck, or sport utility vehicle (SUV) for your day-to-day schedule. What Goes Into a New Vehicle Price Quote from McLaren North Jersey? Cutting out the Pushy Sales Tactics – Despite the reality that so many other dealers take advantage of new automobile estimates in an attempt to rush car buyers into an ill-informed decision via hostile or underhanded tactics, we instead place a priority on a stress-free approach that puts control of this process firmly into the grasp of our fellow community members here in Ramsey. Crafted with You in Mind – No two shoppers are alike in terms of car buying needs and budget, so we go above and beyond to formulate personalized estimates that take into account each and every bit of info and understanding that is pertinent to your unique circumstances. Financing Options Developed by Accredited %DEALER_MAKE Specialists – Only seasoned McLaren financing experts that have years of expertise and training are permitted to manage the actual undertaking of designing an individualized new automobile estimate for you. Your Privacy Is Important to McLaren North Jersey – Once you have zipped through the speedy and straightforward new automobile quote form we have presented before you on this page, you can remain confident in the fact that your information is treated with the care, consideration, and confidentiality necessary to ensure you will never be placed into a compromising situation in the digital world. After addressing all of these facts, one thing should be profusely apparent: McLaren North Jersey is willing to always offer up the most dependable, budget-conscious, and consumer-friendly new vehicle estimate policy in the Ramsey market. As extraordinary as offering up the best possible new automobile estimate for each customer is, the crew here at McLaren North Jersey also refuses to stand by idly if you find a more alluring offer. While it is far from likely given how much time and effort we put into developing the most reasonable price points in town, there is an outside chance this could happen as you search for the right car for you and your family. If you find yourself in this scenario and come across a competing dealer offering a better deal on the automobile that garners your attention, feel free to let the McLaren North Jersey team know immediately so we can get the ball rolling on righting this situation. After bringing this concern to our attention, the crew of dependable auto specialists found here at McLaren North Jersey will do all that they can to not only meet this price, but also provide you with an estimate that pushes even more value to your side of the equation. The best part about our pledge to our friends in Ramsey? Each and every car found within our inventory is subject to this steadfast commitment to your satisfaction, so you can shop with confidence knowing the best possible price for you will always be found here at McLaren North Jersey. Undoubtedly, taking this customer-centric approach to new car price quotes is far from the industry norm. However, when the conversation turns toward doing what is best for customers here in Ramsey and offering up the fairest and most affordable quotes possible, anything less than the best is simply not acceptable for shoppers who bring their business to our convenient Ramsey location. What Do I Need to Do to Get a New Car Price from McLaren North Jersey? 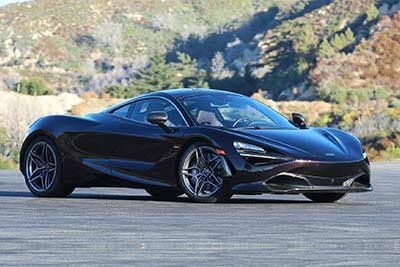 Now that you are up to speed with all of the things that go into the new car quote process here at McLaren North Jersey, we really only need to talk about one last concern: How you can enjoy all of the benefits that come with obtaining a new vehicle quote from the expert McLaren team here at McLaren North Jersey. To get the ball rolling on this front, all you need to do is complete the form we have provided on this page. Once we acquire your information, one of our dedicated professionals will get started on crafting the best possible quote and returning this price to you as soon as possible. As always, we appreciate you paying a visit to the McLaren North Jersey website. If you have any other questions, go ahead and connect with our trained team via 201.639.7750 or stop by in-person to find out a little more about why more and more people in the Ramsey area are driving right pass the competition and coming to us for their new automobile purchasing needs.